For this commercial we had to build a four man high pyramid. 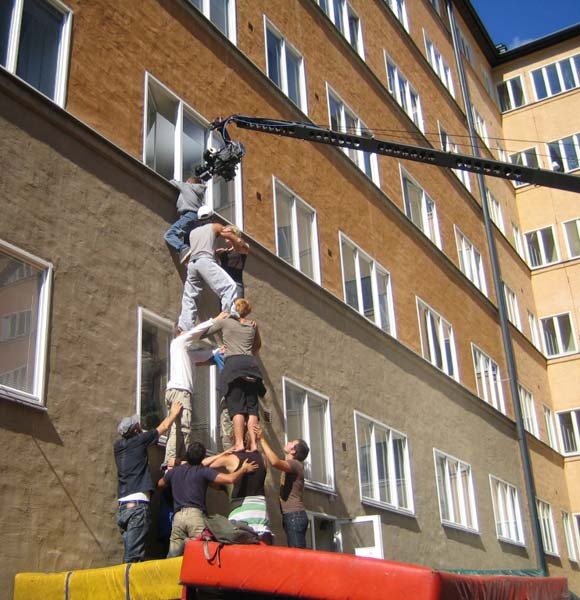 We used several circus artists who had experience doing team acrobatics. 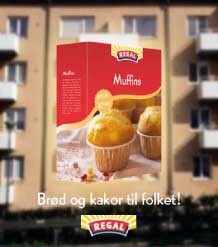 The person on the top reached in through the open window and stole an Axa-muffin.